This tour includes a tractor ride between the blocks of fruit and the shed, a detailed explanation of how to pick the best fruit possible is given to everyone to make sure you leave the orchard a happy customer. Best of all there are no limits, you can pick as much fruit as you want to buy on the day. The fruit you pick on the day is priced per kilogram, and varies in price depending the variety, fair market price, and size/quality. Please be aware of this as you pick as we cannot put fruit back on the tree. Once you have finished picking you will return to the shed on the tractor and pay for your produce, we also have other items for sale in our shed such as our incredible Apple Juice made right here on the farm! 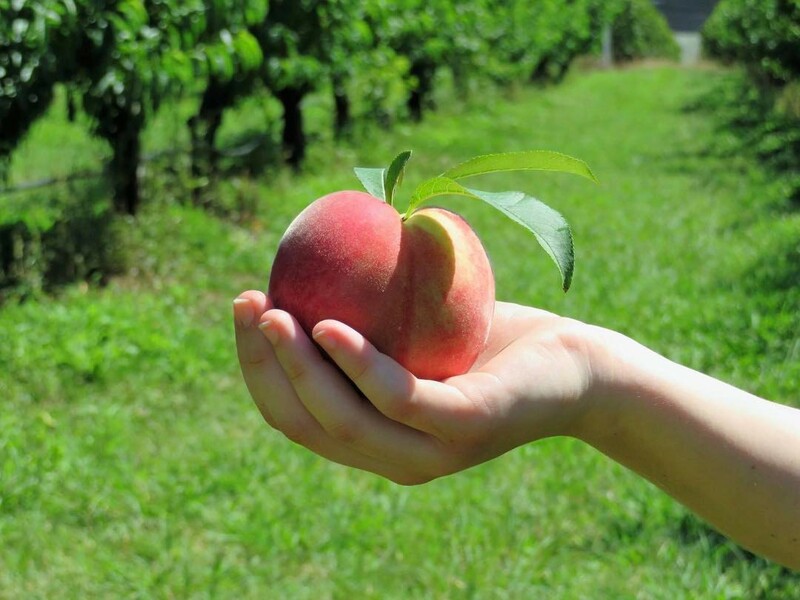 Depending on the availability of the fruit being ready you will be able to pick either white flesh nectarine, yellow flesh nectarine or white flesh peach. usually a combination of these are ready at the same time. Please check our facebook/website for availability of varieties which will be ready soon. . Weekday bookings have a minimum number of total required participants for the tour to go ahead, weekends have no minimum and each session advertised will be running regardless of numbers, & we operate no matter what the weather is doing.